Crystals are a gentle, non-invasive tool used to manifest healing & wellness by bringing the Body, Mind & Spirit back into harmony. These wonderful stones interact on a cellular level with human (or animal) energy fields to heal, calm, stimulate, or adjust their internal life force. They also work on attitudes, emotions & thought processes, instilling feelings of well-being, neutralizing negativity & lifting depression. 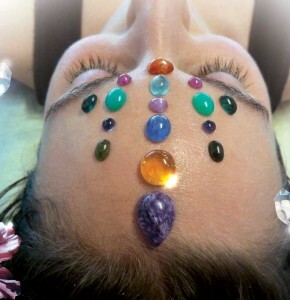 You can place crystals on the body during a healing session, carry or wear them as jewelry, or place them around your home, garden, office or car to alter vibrations to facilitate a desired effect. Green Goddess sells crystals to assist in your journey to wellness, offers classes to learn about crystals, & implements crystals in private healing sessions. 609-276-7725 or fill out the form below. Are you tending your spiritual garden?